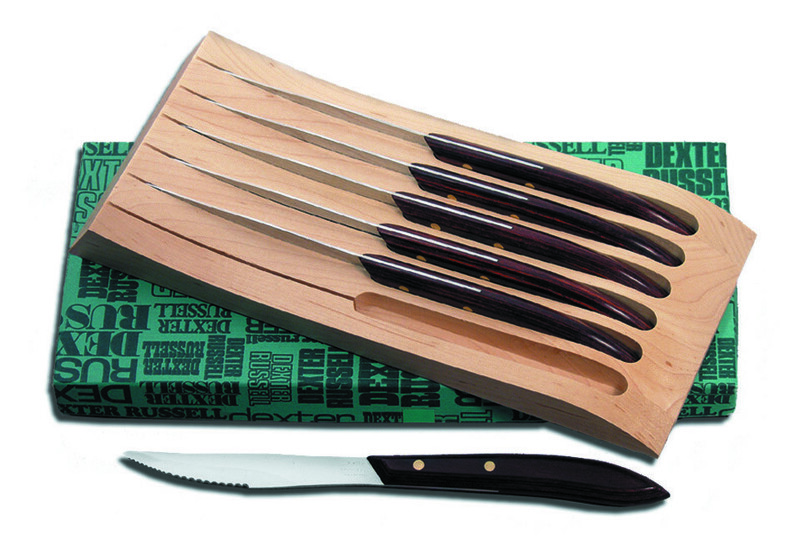 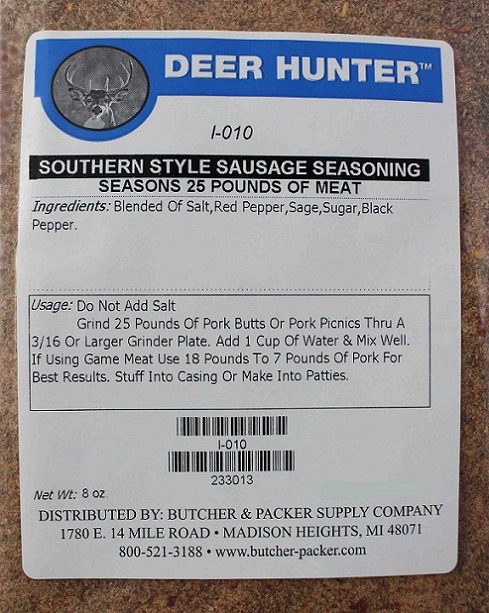 When making most fresh sausage the meat of preference is either pork picnics or pork butts. 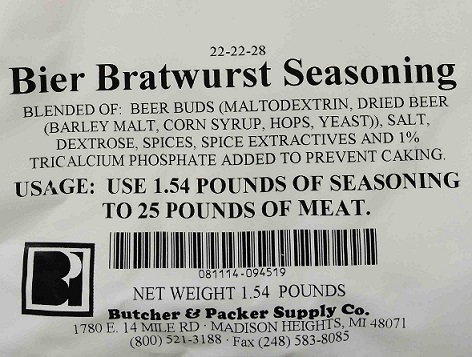 These cuts of meat will give you the right fat to lean ratio so your sausage will not be too fat or dry. 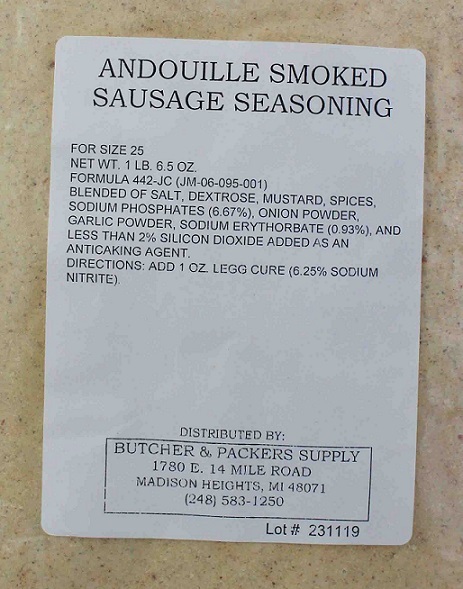 The leaner the sausage is not always better because flavor is carried with the fat not the lean. 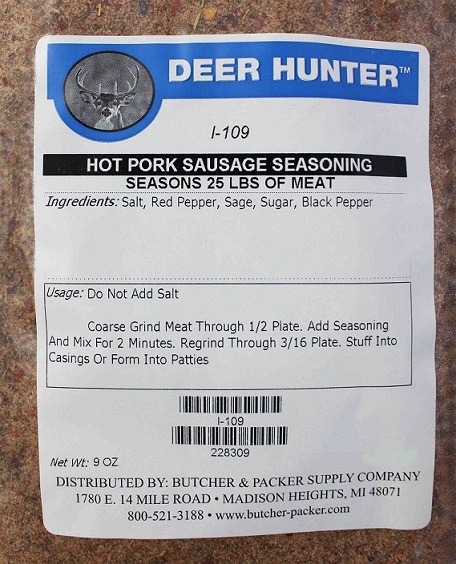 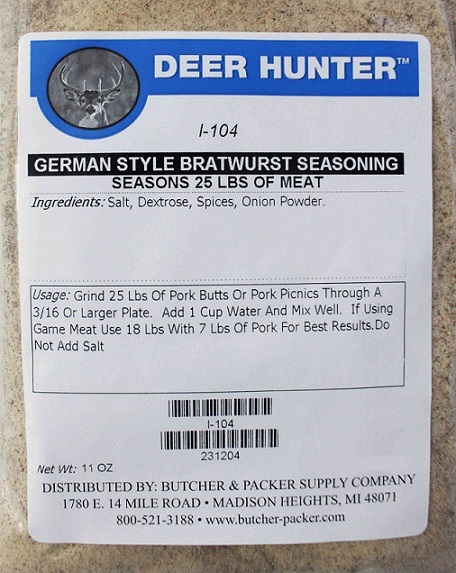 When making fresh sausage using venison, it is always good to mix 25-30% ground pork into the sausage. 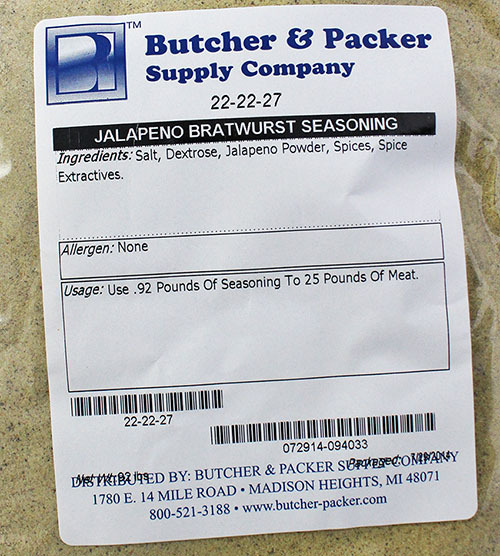 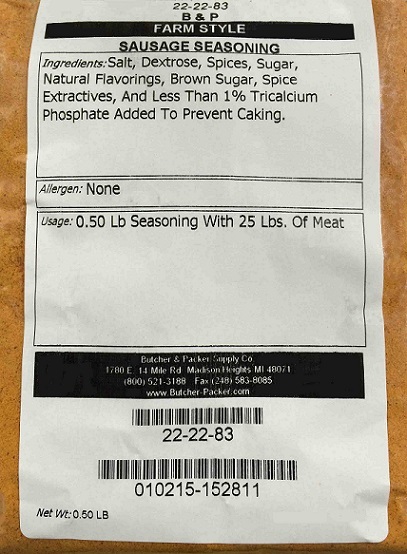 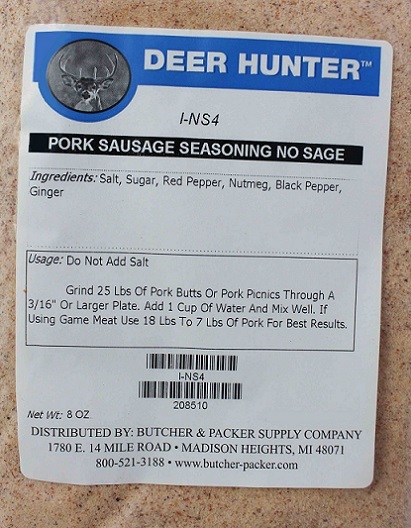 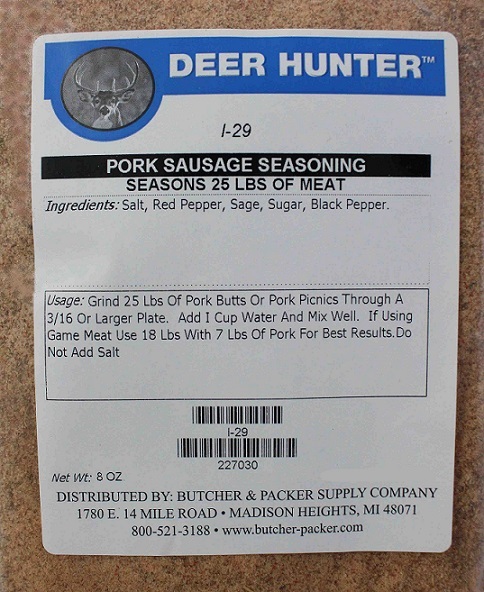 All packaged seasonings will make 25 pound of meat unless otherwise noted.